These days, information rules the workplace and the ability to access and record data when you want and wherever you want has become a shared expectation, thanks to the widespread use of smart phones and tablets. Traditionally, taking ‘consumer-quality’ hardware into demanding environments such as the warehouse, the cold store, the factory floor or a rainy day outside has been asking for trouble, with device life expectancy being put at risk. Now, thanks to the recent introduction of more rugged devices, compromise isn’t necessary. So, for those workers that aren’t chained to a desk or production line, such as engineers, quality specialists and even mobile sales staff or delivery drivers, investing in a rugged tablet PC makes sense. Although up-front cost is higher than a consumer-targetted tablet, a rugged tablet PC that has been specifically designed for use (and mis-use) in hostile environments is likely to prove more cost-effective over a period of months or years, thanks to reduced repair bills and downtime. 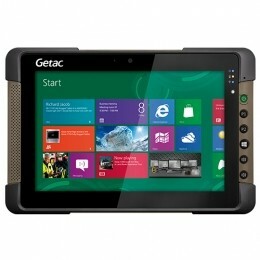 We are proud to supply Getac tablet PCs. If you’re looking for a rugged Android tablet, check out the 7-inch Getac Z710. 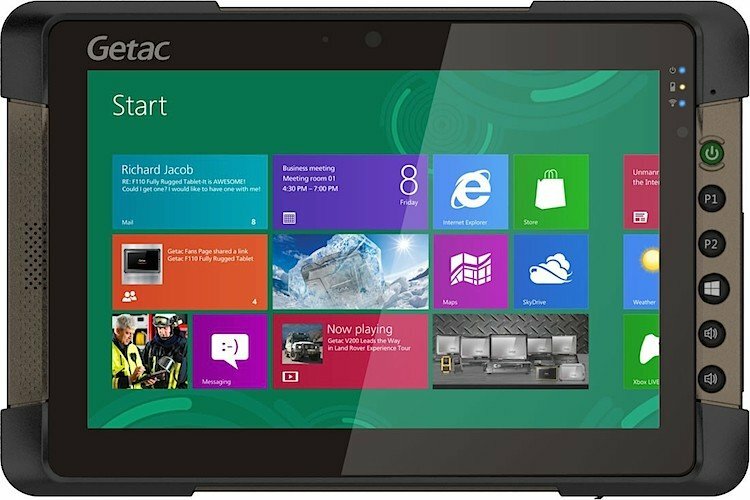 If you’re after a rugged tablet with Windows 8.1, take a look at the Getac T800. If these models aren’t exactly what you’re looking for, call us for a no obligation chat as we’re likely to have something that will meet you requirements.